White Sox Game Tickets Purchase by June 19! Every ticket is a tax deductible donation to the IAFP's Foundation! 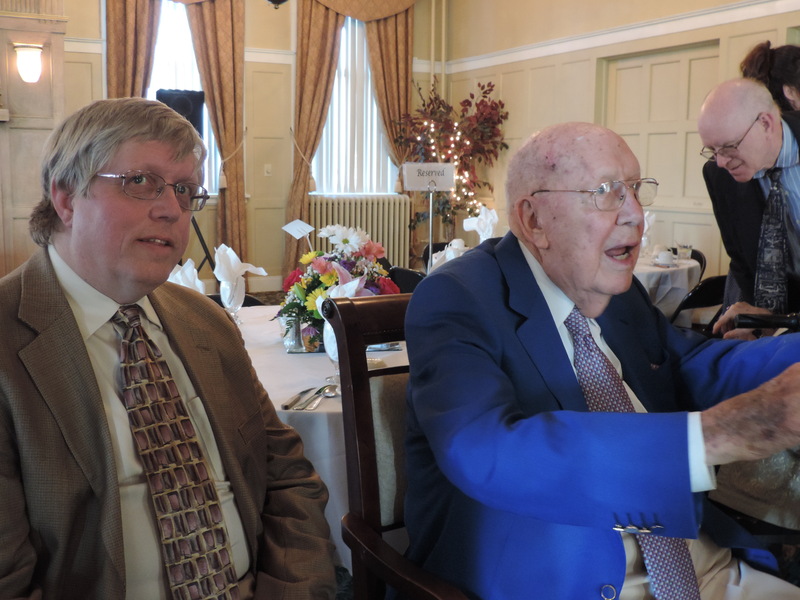 IAFP Past president (1971-72) Ernest “Chet” Bone turned 100 earlier this year, but the celebration took place this week in Jacksonville (Illinois, not Florida, he still lives here!) as colleagues, friends and admirers gathered to cheer to 100 years. Another past-president, Ronald L. Johnson, MD of Pittsfield attended in his current role of ISMS board member. Our executive vice president, Vince Keenan also attended to toast Dr. Bone. He was president when the specialty was officially renamed to “family physicians” from “general” and our new organization was born, Illinois Academy of Family Physicians. 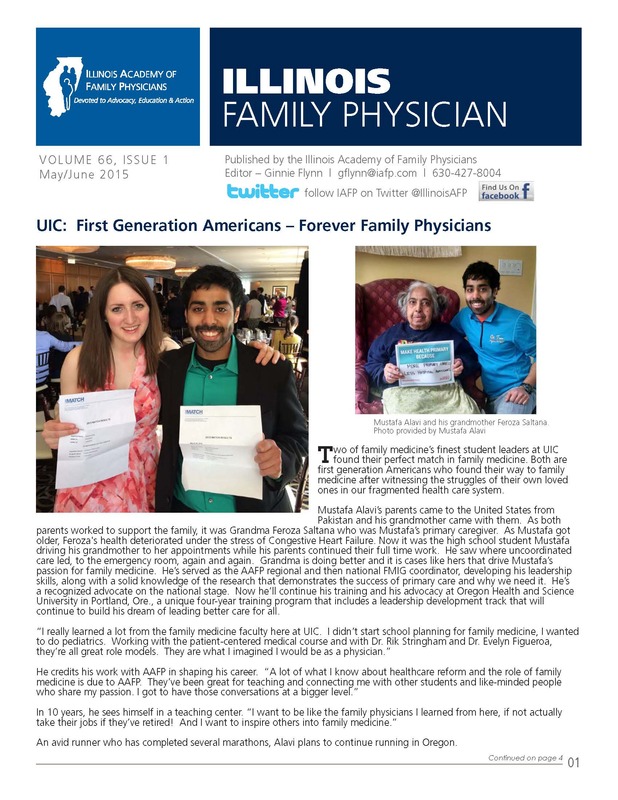 He was also a founding board member of the American Board of Family Medicine (ABFM). Dr. Chisolm was on WJBC-AM radio May 18 talking about her new Direct Primary Care model of care, where she will also include house calls. The eight-minute interview talks about this new model of offering primary care services without the insurance billing hassles. Health is Primary May 19 City Tour full recording is now available! Check out some of the best photos on our Facebook page! The student and resident evening event Health is Primary and You are the Future featured some of those same panelists along with tremendous discussion moderated by IAFP board members Kristina Dakis, MD and James Valek, MD. Check out the Facebook photos! The Health is Primary Tour made Chicago its third stop in a nationwide tour to bring family medicine to the forefront of better health care through solid primary care and innovations designed to achieve the quadruple aim of better access, better care, lower costs and provider satisfaction. IAFP Past President Javette C. Orgain, MD – currently the Vice Speaker at AAFP. Learn more on the IAFP’s Health is Primary page where you can order your FREE Health is Primary buttons for your practice. 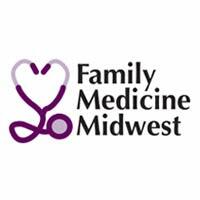 Spread the word and show your pride in family medicine. The General Assembly continues to meet in overtime sessions in budget negotiations with Gov. Bruce Rauner. Illinois Dept. of Healthcare and Family Services is launching the new computer based enrollment program, called IMPACT (Illinois Medicaid Program Advanced Cloud Technology). Link to the provider notice which has all the information about the deadlines. It is highly recommended that providers update their current info for those who are already enrolled with HFS through the online webform entry before June 24th as those electronic updates will also be suspended June 24th. View a snapshot of the Provider Enrollment Timeline for IMPACT. A House Ways and Means Subcommittee hearing on a bill to continue the Independence at Home Act included high praise from two Illinois Congressmen (Republican Peter Roskam and Democrat Danny Davis) about IAFP member Thomas Cornwell, MD, who helped craft the legislation and has become a national leader in physician home care. The bill passed out of committee unanimously. HR 662 would provide exemptions for cigars, even flavored cigars from FDA oversight. Don’t be fooled by the bill’s name about small business and job preservation. Learn more in the AAFP News Now article. Reporting Requirement Assistance! The Illinois Academy of Family Physicians joined with Telligen, Illinois' Medicare Quality Innovation Network - Quality Improvement Organization (QIN-QIO), to help you be successful in meeting the ever changing and growing reporting requirements for payment and incentive programs. Learn more and take advantage of the offer. Allan Griffith, MD and Jason Cash, MD were quoted in a May 29 Bloomington Pantagraph article on insect bites and stings, and how to treat them at home and when to seek medical care. IAFP President-elect Alvia Siddiqi, MD has been appointed to the Health Care Payment Learning and Action Network Guiding Committee. She was nominated for the committee by AAFP. Her working group will focus on alternative payment model (APM) that are included in the recently enacted MACRA Act, which eliminated SGR and replaced it with APMs. Thomas Huggett, MD, MPH of Chicago has been appointed to the IDHFS Director’s Medicaid Advisory Committee. Executive vice president Vince Keenan, CAE was appointed to The State Health Improvement Plan (SHIP) Planning Council. The SHIP is a legislatively mandated document focusing on health priorities and strategies for improvement that the state of Illinois must produce every four years, in order to maintain its accreditation as a state public health agency. The SHIP Planning Council will serve as the body guiding the interpretation of Illinois’ State Health Assessment and the development of the State Health Improvement Plan. The most recent State Health Improvement Plan (2010) can be found here.